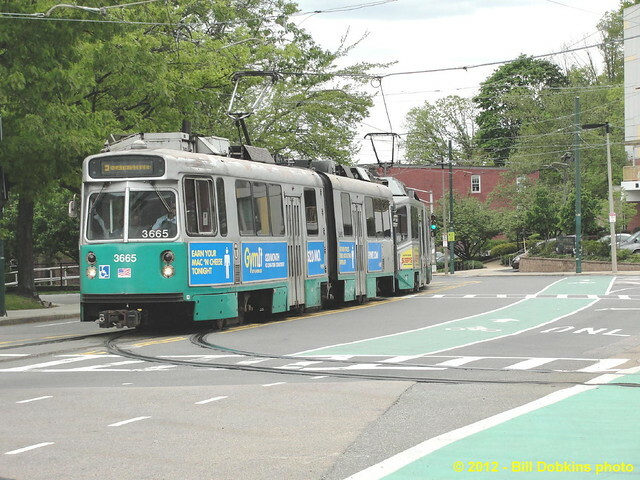 I visited Boston Friday to ride and photograph the "T". The MBTA operates a variety of equipment, and I was able to catch quite a bit of it. Orion VI #5000 in storage at Everett. Nova LFS shell at Everett. This was intended to become a magnetic induction battery bus, but the project was never completed. GM TDH-4512 #2600 at Everett. 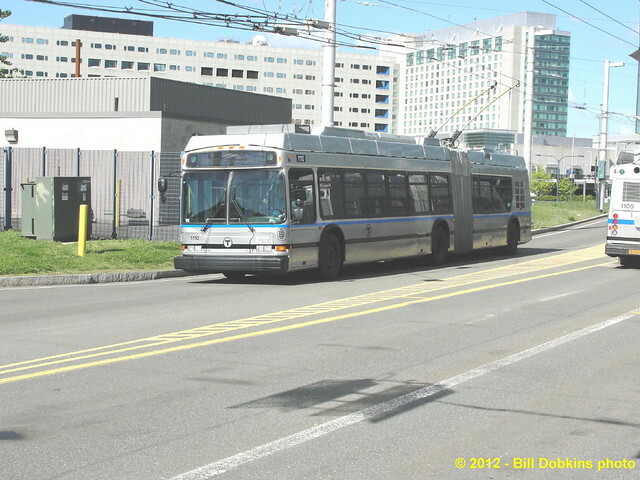 Neoplan DMA LF (dual-mode) #1110 at Silver Line Way. New Flyer D40LF #0811 on Summer Street at Atlantic Avenue. Neoplan AN460 LF #1001 at Atlantic Avenue and Summer Street. NABI 40LFW #2013 and #2182 at Dudley Station. 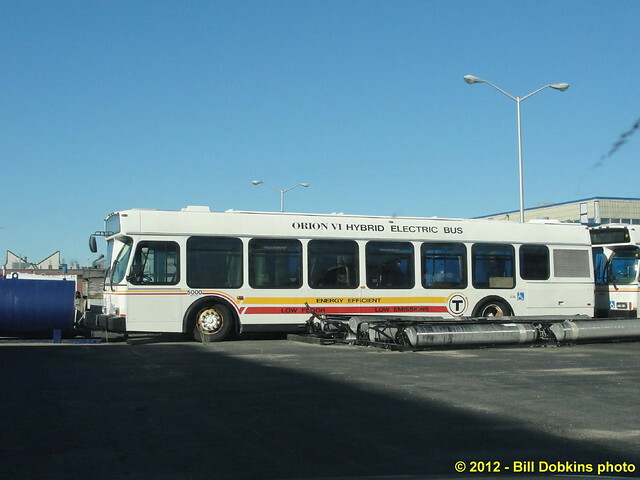 Crystal Transport New Flyer DE40LF #638 at JFK / U Mass Station. 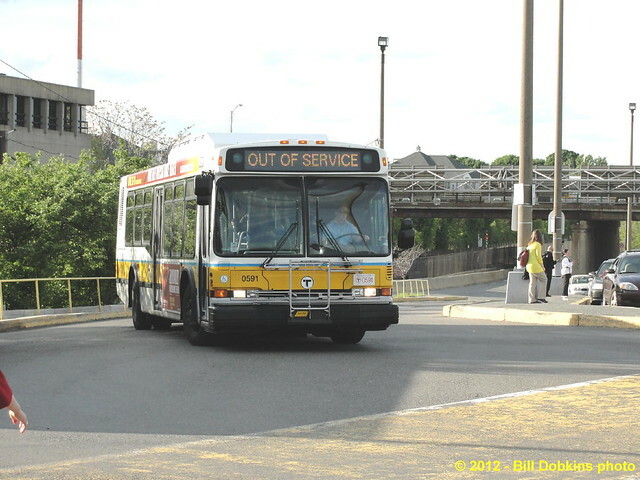 New Flyer DE60LFR #1202 at Mattapan Station. Pullman-Standard PCC #3260 at Mattapan Station. 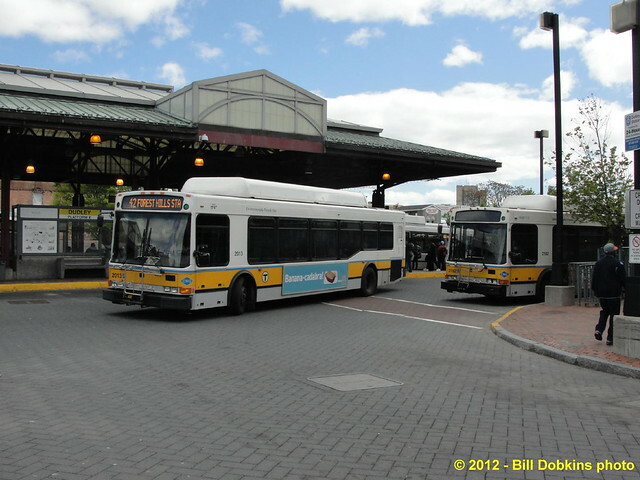 Neoplan AN460 LF #1029 at Forest Hills Station. Kinki-Sharyo Type 7 #3665 on South Huntington Avenue at Heath Street. 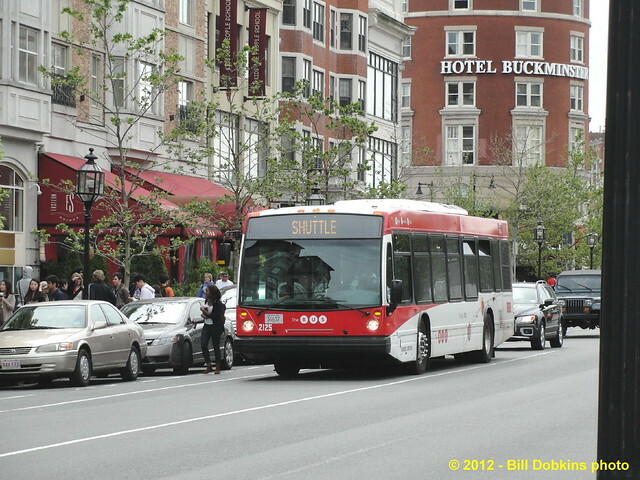 Boston University Nova LFS #2125 on Commonwealth Avenue at Kenmore Street. 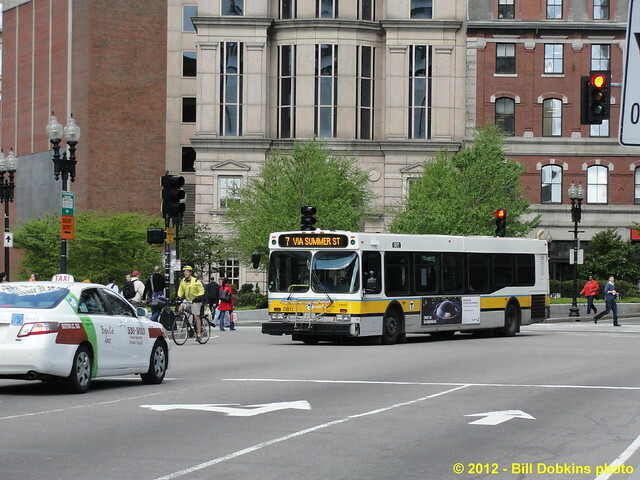 Neoplan AN440 LF/ETB #4118 on Massachusetts Avenue in Cambridge at Cambridge Street. 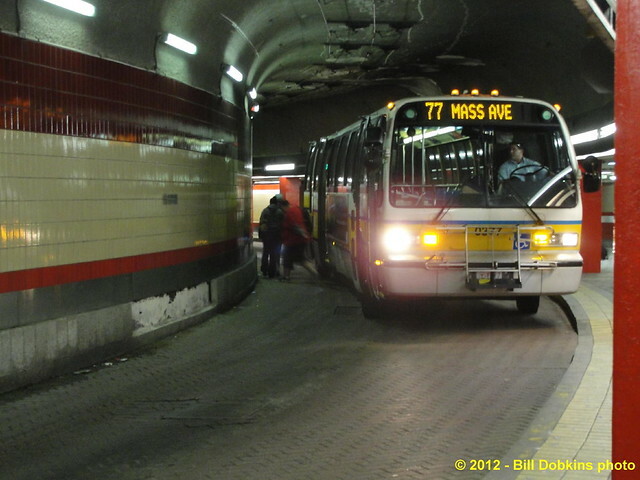 Nova RTS T80206 #0377 in the Harvard bus tunnel, lower level. Neoplan AN440 LF #0591 at Wellington Station. Excellent shots, Bill! Beautiful weather and you really made the most of your day. The Orions and the LFS shells (they are not a true 'bus' because they have no powertrain) have been photographed by few in recent years, so nice catch there. 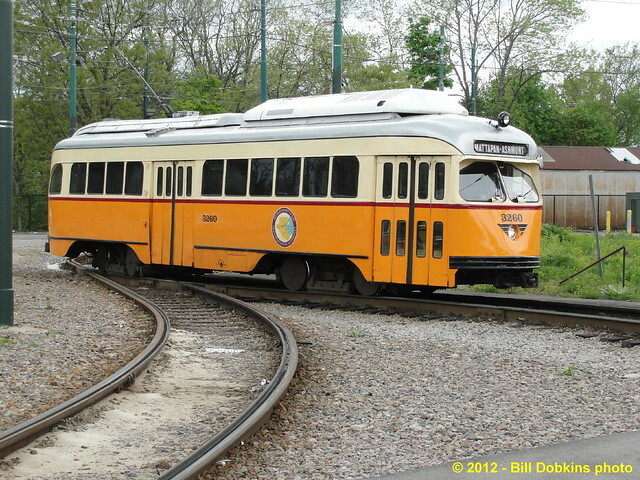 The LFS is one of two shells and the other one was actually painted in the MBTA's standard yellow scheme. Everything went smooth, with no delays or issues. I used my day pass 14 times without jamming any fareboxes or fare gates, and certainly got my money's worth. I believe that the second LFS shell is at Charlestown. Nice pix. Especially like the Neoplan low floor TC's. Rare as hen's teeth and unique to Boston due to those wierd driver-side doors! 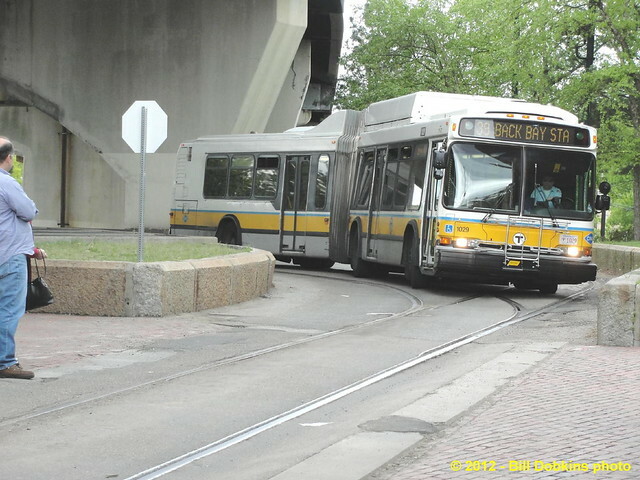 It is interesting that MBTA insisted on the left hand door for the TC's, while at the same time running diesels through the Harvard bus tunnels and having passengers board and exit against the wall. And the extra engineering expense was the last thing that Neoplan needed at the time. Neoplan originally stated that a left-hand door could not be provided and the pilot bus had right-side doors only, but the MBTA insisted (and sweetened the deal, I believe) and the buses were re-engineered to accomodate it. 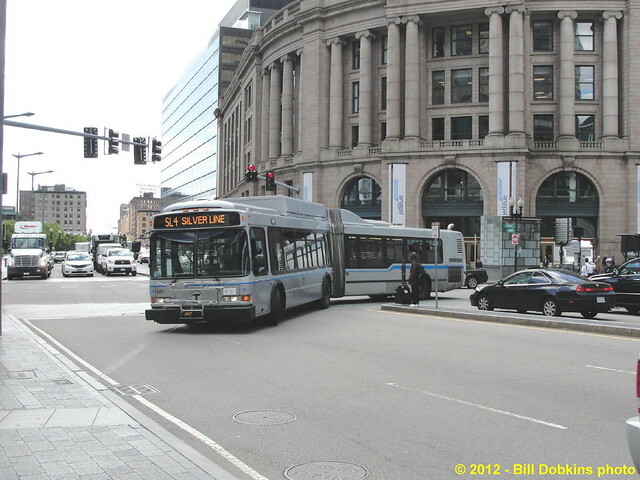 New Flyer has built BRT buses with left-hand doors and I suspect that they could provide a diesel bus with left doors if the MBTA requsted it. 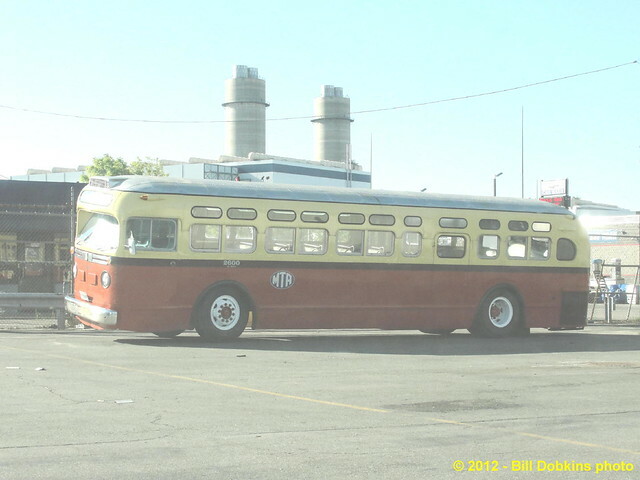 From what I've been told, what did Neoplan in was the dual-mode buses. I believe they initially had a European design they were going to use but then Neoplan USA was spun off and on its own. The TC's and dual-modes ended up with Skoda electrical gear, which was not a bad outcome in my opinion, but I suspect they ended up spending a lot of money on a design that was unlikely to be sold to any other North American agency. 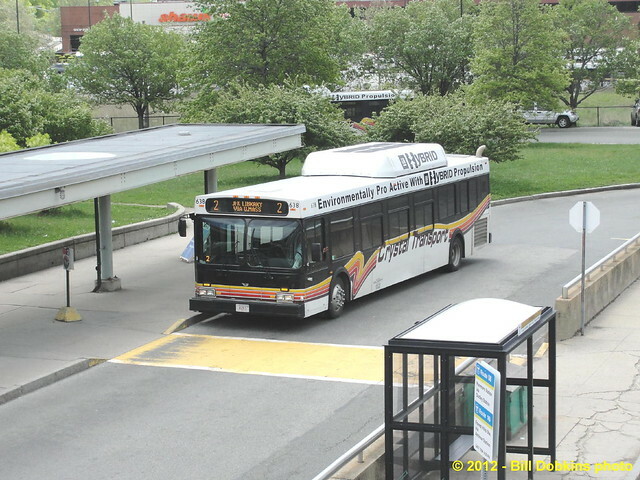 New Flyer has built BRT buses with left-hand doors and I suspect that they could provide a diesel bus with left doors if the MBTA requested it. 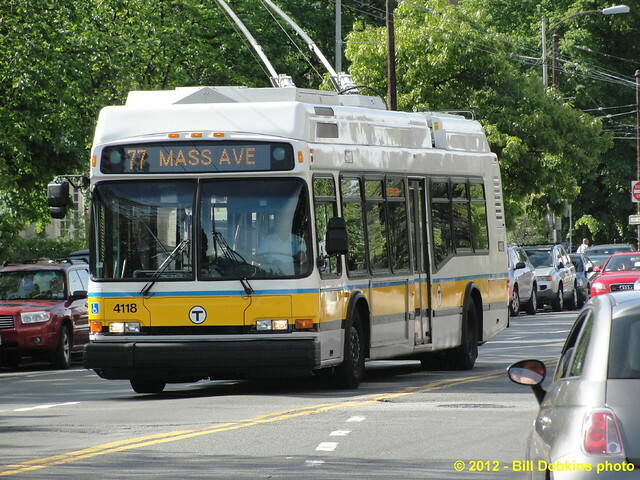 While I agree that New Flyer could supply a bus with the left hand door, I doubt that the MBTA would go for the additional expense, based on the limited number of routes that would require it. Given the fact that they have been running diesel buses into the tunnels without issues, I was surprised that they insisted on the left door for the trackless coaches. It is too bad that a diesel - electric hybrid bus based on the dual mode design wasn't developed. 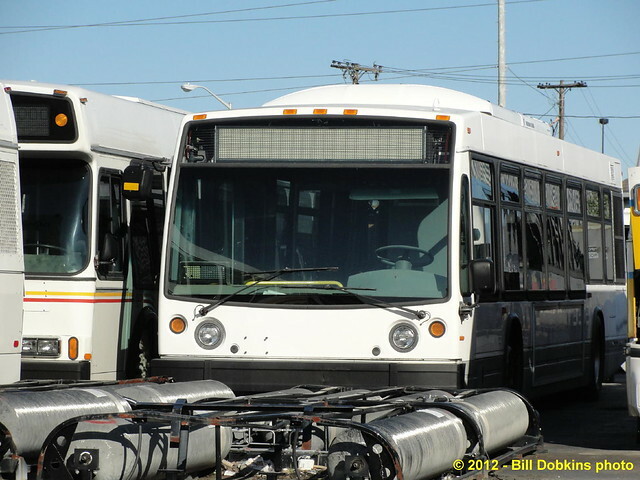 The two powered axles allow the dual modes to run circles around the other buses in the snow. 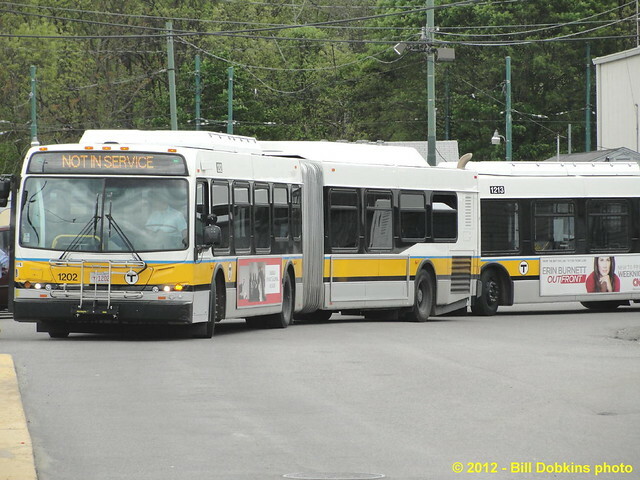 The typical single drive axle (pusher) articulated bus is a nightmare waiting to happen in slick conditions.